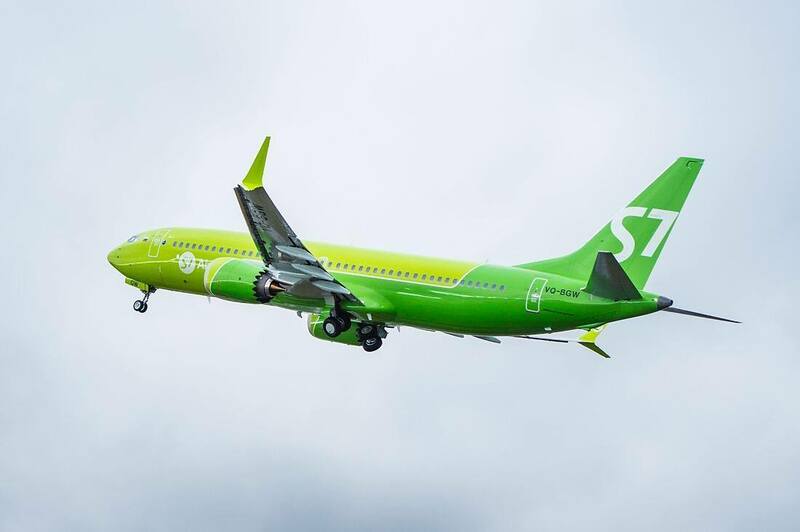 The latest delivery of a Boeing 737 Max makes Globus Airlines the first Russian operator of the model, as launch customer S7 Airlines prepares to supplement its partners’ fleet of 19 Boeing 737NGs with 11 of the CFM Leap-1B-powered narrowbodies. S7 took delivery from Los Angeles-based lessor Air Lease, which has committed to leasing nine Max 8s to the Siberian carrier. Globus operates out of Moscow Domodedovo International Airport as S7 Airlines, flying its Boeing 737-800s in a 176-seat cabin configuration, including eight business class seats. Featuring the same cabin layout, its new Max 8s can fly 435 nautical miles farther than its NGs while burning 14 percent less fuel. Plans call for Globus to fly the first airplane out of Novosibirsk Tolmochevo Airport to Domodedovo and Chita Kadala Airport. The airline’s route network covers cities across Russia, the CIS, and Europe.